To generate such ideas and extract ideas from the students of SDMIMD a Curtain Raiser on Start Up Support Initiative was organised by Silicon Rd Initiative (P) Ltd. with the help of Swayam. The students of SDMIMD was briefed by Mr Sid Mukherjee, CEO of Silicone Rd and Mr Sanjay Srinivasmurthy, Director, Silver Sprit Global LLC. This opened huge door for the aspiring entrepreneurs of SDMIMD through the incubator that is being set up with our institution being one of the partners. The speakers gave an insight on how the incubator program, accelerator and the network that is linked to Silicon Rd (P) Ltd and the timeline of the application process. After 5 years since inception of E-Cell in SDMIMD, this is a huge step with the corporate that has taken place. Prof MR Suresh started the program by talking about the Entrepreneurship Cell at SDMIMD and its activities. He mentioned that the committee was started by a few interested students with the support of the management in 2013. He said the committee is following an incremental growth plan and hopes to start an incubation centre soon. Mr. Sid Mookerji graduated from BITS Pilani and went on to become an entrepreneur quite early in his career. He called himself as a recovering entrepreneur who had tasted failure and rejections initially. He started a company that had a large employee base and had made fourteen acquisitions. He said that SDMIMD, Mysore has given the right platform by inculcating entrepreneurship into its formal course and managing a committee to foster ideas and thoughts of its students. He highlighted that being an entrepreneur will be a hard journey with tough challenges. In this background he gave statistics of how many startups stand the test of time and thrive in this fiercely competitive world. Around 3% of enterprises started make it till five years, he added. Mr. Mookerji said incompetence and lack of management skills are the two main reasons for an enterprise to fail. Mr. Mookerji introduced Silicon Rd initiative and elucidated its objectives. He said its an attempt to enable startups in the connected world. The company will select the best ideas and help them flourish by supporting them in their incubation centre. This would follow a three-step procedure, accelerate, incubate and co- work. He said that that the whole procedure will be classified into four stages of growth, pre-seed, seed, venture and exit. Through these stages the startup idea is taken from the level of inception to be an independent enterprise. Mr. Sanjay concluded by explaining the procedures in detail and conveying how it all works. Shri Dharmasthala Manjunatheshwara Institute for Management Development (SDMIMD) organised an entrepreneurship event called STARTUP CHARCHA on February 9, 2018.This event, organised for the third straight year, is part of various entrepreneurship activities undertaken by ‘Swayam – Students E Cell of SDMIMD’. 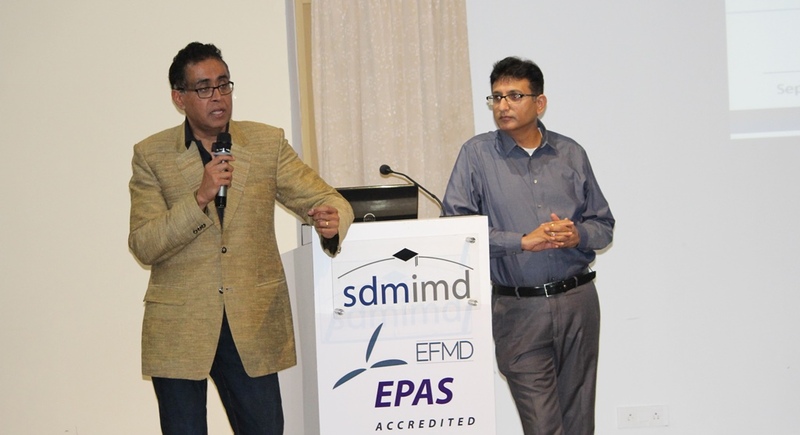 The event also brought together the best entrepreneurial minds who provided insights tempered with practical advice on startups to MBA students and budding entrepreneurs at SDMIMD. Outlining the various activities of Entrepreneurship cell at SDMIMD, Dr M R Suresh, Professor, SDMIMD and facilitator of the cell, highlighted that SDMIMD is well on the pathway to emerge as knowledge resource centre in the area of entrepreneurship to guide not only budding entrepreneurs but also other institutions as well. 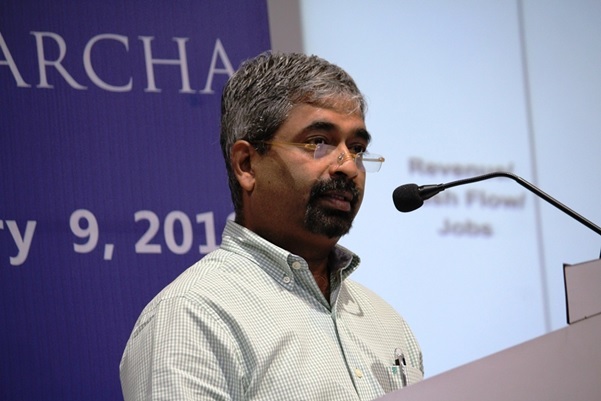 The STARTUP Charcha event had Mr Ajith R. Pai, Jt. Managing Director, VWF Group of Industries - Mysore, who delivered the Key Note address. The keynote speaker Ajith R Pai is a second generation entrepreneur with a strong academic background and has a passion for creating, nurturing and growing new ventures. 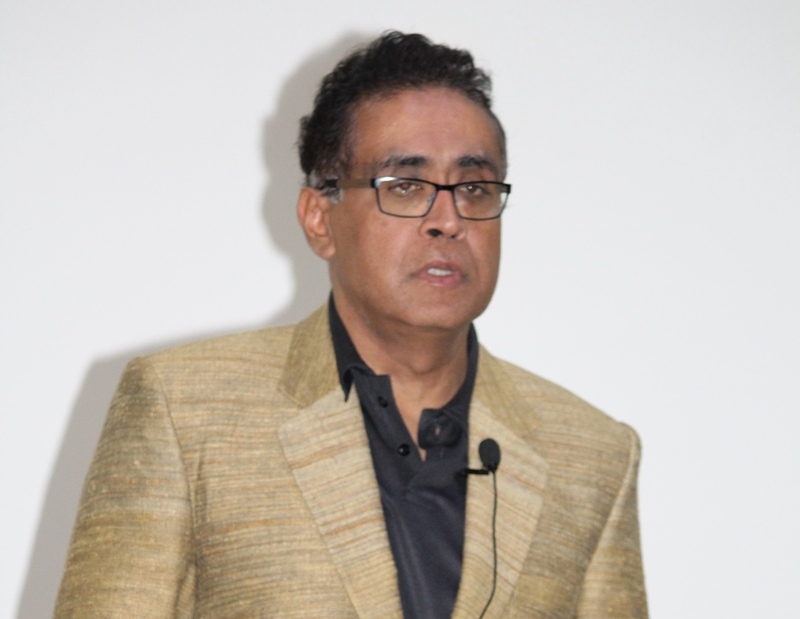 During his address Mr. Ajith R Pai said that the most important aspect was not having an idea but the execution of it. Advising MBA students, he said, “entrepreneurs are those who start working on their ideas and wantrepreneurs are those who just have an idea”. He also talked about the reasons why most of the businesses did not last for more than three generations and the importance of exiting an outmoded enterprise. “Innovation and creativity are the key points for any business”, he stated. 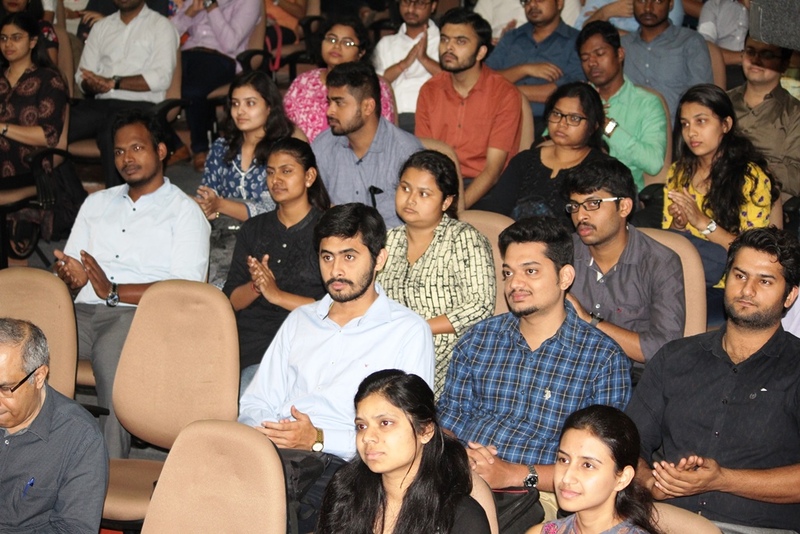 In the question and answer that followed he underscored the importance of intuition while emphasising the relevance of management thought and education that helped in developing a structured thinking process. Putting together an initial team and retaining the talented employees were challenges that confronted startups according to him. In addition, there was a Panel Discussion on the theme ‘Getting Started in Enterprise - Issues and Facets’, moderated by Dr M R Suresh, Professor at SDMIMD. The distinguished panellists were Mr. Vipin Prasad, Founder, Joiningdotsinc.com and SDMIMD Alumnus; Mr Sanjay Srinivasamurthy, Management Consultant and Strategic Advisor; and Prof Rajendra Todalbagi, SDMIMD. The discussion highlighted that the policy environment was very favourable in the country for startups with our Prime Minister himself perceiving startups as instruments of transformation. The government was providing not just financial help but also operational guidance and risk minimisation support for entrepreneurs. The distinguished panellists told the young minds in the audience not to wait for a favourable policy to be written but work on possible ideas and convince investors. It involved winning the key decision makers with the vision behind the idea. According to the panellists, innovation and startups go together, but imitation of successful ideas is also a good strategy provided it is done to perfection. Bootstrapping in the initial stages was relevant until one got appropriate funding the panellists stated. Scaling up was important and developing the right relationships with strong customer orientation played a significant role in success of the startup. The panellists strongly emphasised that budding entrepreneurs should be very clear about aligning their personal vision in setting up an enterprise as that would influence the type of opportunity chosen. The goal should not be just to develop the startup to sell it at a higher price. There should be underlying vision and strategy in every startup initiative according the distinguished panellists. There was a student case study presentation event Prerana in which four teams profiled successful entrepreneurs in different fields. The intercollege flagship fest held each year for management students at SDMIMD. 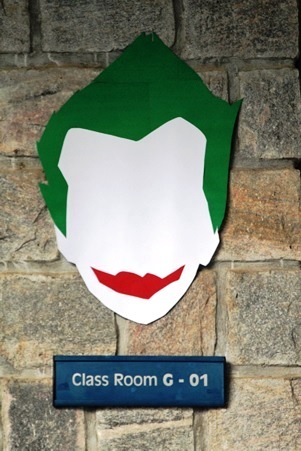 The 2018’s theme for Naissance was “The Heroes we Need”. 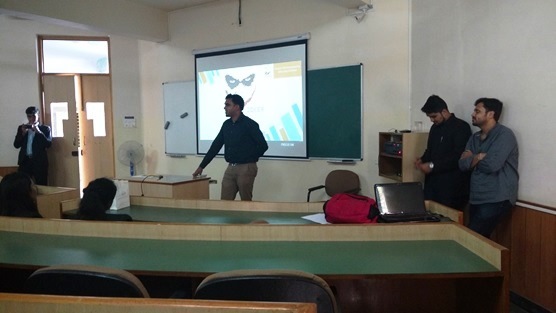 Entrepreneurship Cell conducted the Business Plan competition under the name of “The Joker”. As a part of this competition, Team Swayam conducted cumulative based rounds. The rounds included quiz, bad idea-good idea, and for the final round, the participants pitched their business idea in front of judges. The judges panel included Mr. Derrick Keith, Mr. Nikhil Furtado, Mr. Anirudh Sonthalia. The winners of this competition was from Manage Hyderabad College. © Copyright 2018, SDMIMD Mysore. All rights reserved.